Eggs are bad. No, eggs are good. Butter is bad. No, butter is good. Red meat is bad. No, red meat is good. Carbs are bad. No, carbs are good. It’s exasperating! Not knowing what to believe or who to trust, most people decide to believe good news about their bad habits and continue their current behavior, or adopt even worse behaviors. And that’s exactly what Big Food and the purveyors of Fad Diets want them to do because that protects their profits. 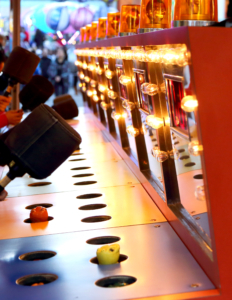 Big Food treats nutrition science like whack-a-mole. If a study comes out that criticizes their product, they quickly fund another study to emphasize the positives. If a study praises their competition, they fund a study to criticize it or project the good qualities onto their own product (e.g. eggs have antioxidants – see below). They also fund supposedly credible nutrition sources like the Mayo Clinic, The Cleveland Clinic, Harvard and countless others who continue to promote their unhealthy products and their biased scientific studies. After all, those revered institutions also have a bottom line to protect, and they make millions of dollars each year from preventable medical conditions, as well as from industry funding. The Mayo Clinic alone gets nearly $100 million/year from corporations and corporate funded industry associations. That’s a big incentive to continue their support of unhealthy behaviors. The article referenced three studies, most likely funded by the egg industry. I can’t tell for sure who funded them because only the abstracts are available without a membership, and each study is on a different website requiring a different membership. The funding sources are often omitted or hidden behind non-profit front organizations that are impossible to trace, so it may not make any difference if I had access to the whole study. Knowing that researchers funded by Big Food typically spin the results in the abstract/summary/conclusion, I was highly skeptical about the claims. But one study in particular really stood out. The study claimed that eggs have recently been discovered to have “high levels of antioxidants,” those magic little molecules mostly found in herbs, spices, fruits, vegetables and whole grains that our body uses to repair itself. 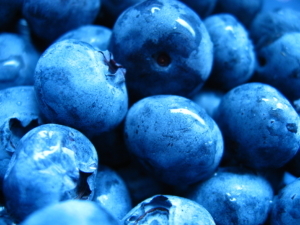 Blueberries come to mind; not eggs. While I couldn’t see the actual findings without access to the whole study, I was able to find this study that looked at the antioxidant levels of 3,100 different foods. It found that eggs have an average antioxidant level of 12 mmol/100 grams. Compare that to spices and herbs with 425, vegetables with 303, fruits with 278 and grains with 227 mmol/100 grams. Even dairy has 7 times the amount of antioxidants as eggs with 86 mmol/100 grams! How can the Cleveland Clinic say that eggs are a good source of antioxidants?! Furthermore, the abstract from the study cited by the Cleveland Clinic article claiming that eggs are a good source of antioxidants states, “All cooking methods significantly reduced the antioxidant values.” So that means any antioxidants found in the eggs will likely be destroyed by cooking the eggs. Who’s going to eat raw eggs for their already insignificant amount of antioxidants?! Of course, nobody with high cholesterol who loves eggs will dig any deeper to see that it’s all bulls–t. They’ll take this “reputable” source for its word and continue their unhealthy behavior until they end up under the scalpel or paralyzed from a stroke or dead of a heart attack. By publishing this ridiculous, easily disprovable article, the Cleveland Clinic, one of America’s top hospitals, has lost all credibility with me. If I see them come up in a search result, I won’t even click the link unless I’m looking for more absurd health claims from supposedly reputable organizations. This is especially disappointing because this is the hospital where Dr. Esselstyn worked as a surgeon and conducted his Prevent & Reverse Heart Disease study. Since most people, including members of the media, don’t understand the Scientific Method or read the studies in their entirety, they don’t realize that industry funded study methodologies are often structured to prove a desired outcome, and the findings are often spun in the summary/conclusion/abstract to mislead us about what they really discovered. So all we see is the 30 second sound bite that was crafted to confuse us so we keep buying their products. 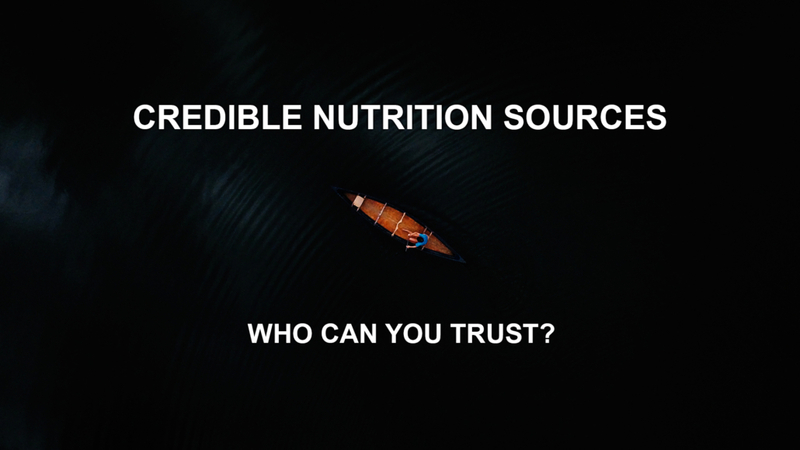 With all of this confusing and contradictory information from people and institutions we thought we could trust, how are we supposed to determine which doctors, scientists and websites are actually credible nutrition sources? That’s when I started getting serious about my health. I started eating a healthier diet (at least, I thought it was healthier) and exercising more regularly. My cholesterol came down a little, but not enough. Much to my chagrin, my doctor put me on a statin. When I first started studying nutrition seriously after my back surgery in 2015, I quickly realized that WHAT I was reading and watching wasn’t nearly as important as WHO was sharing the information. That’s when I developed this list of criteria for choosing who to believe. 1. Is the nutrition source qualified to give nutrition advice? Medical doctors spend 8 years earning their medical degree and another 3 to 8 years in residency. While most doctors don’t learn much about nutrition in medical school, some actually specialize in Clinical Nutrition as part of their medical program. They are trained experts in nutrition science and practice. Some doctors can be considered credible nutrition sources. Nutrition scientists with Ph.D.’s typically spend 6 to 8 years in higher education studying nutrition. Some scientists spend their entire careers doing nutrition research, conducting studies and publishing their findings. Some have been doing this for decades…50 years or more. Some start out believing one thing, but change their minds after the science leads them in a different direction. That’s the beauty of science. It’s ok to change your mind when presented with new, credible information. Flip-floppers welcome. These medical and scientific experts who spend their whole life studying nutrition are a lot different than, for example, an author or investigative reporter who writes a blog post or a book about nutrition. Especially when those people were funded by the industries that benefit from their favorable stories, and when they love their unhealthy food and will do anything to justify its continued consumption. However, just because a doctor or scientist has spent years studying nutrition, that doesn’t automatically make him or her a credible nutrition source. They could still be biased. 2. Is the nutrition source potentially or unreasonably biased? Bias is often a tough thing to uncover because most people like to hide their biases, which is understandable. If you want to be taken seriously on a topic that you feel very passionately about, the last thing you want to happen is for all of your hard work to be dismissed simply because of your association with a certain group, or funding from a certain source. 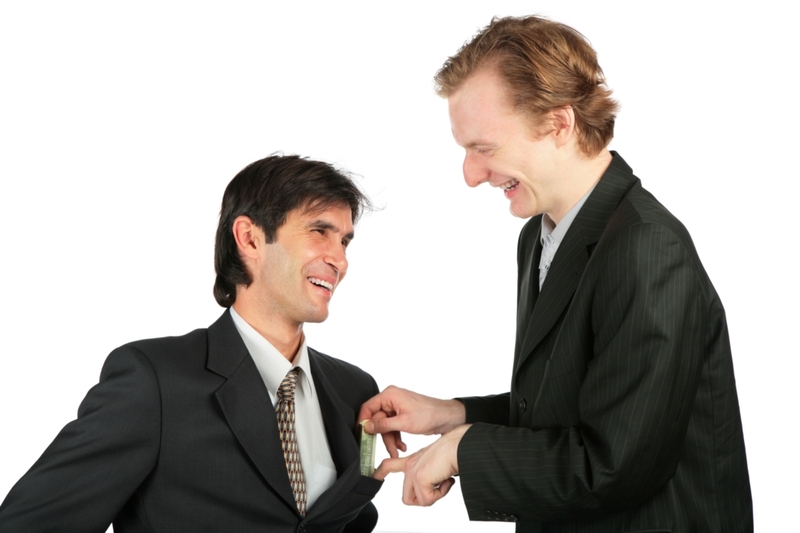 However, it’s very difficult NOT to let those affiliations affect your objectivity. We are human, after all, and we can be easily influenced, even subconsciously. Even doctors and scientists. Whether personal, professional, social or financial, everyone has biases. While the Scientific Method is designed to minimize the impact of bias on the outcomes of studies, it still happens. A lot. With that said, there’s a difference between someone with a personal bias toward a certain cause (e.g. veganism) and someone with a financial bias to guarantee a certain outcome from a study (e.g. here’s $1,100 to show diet soda is better for weight loss than water). In other words, they don’t promote the healthy WFPB diet because they’re vegan. They went vegan because the WFPB diet is healthier, and that opened their eyes to the bigger picture of social injustice, environmental destruction and animal cruelty associated with a non-vegan lifestyle. That applies to Amelia and me, too. We only went vegan after we realized the WFPB diet was a healthier diet for humans. There’s not an exact formula for evaluating the level of bias someone has and how it might affect the credibility of their nutrition advice. You just have to look at the body of evidence from other trusted sources about them and their claims, and then make a gut call. And just because they’re saying bad things about your favorite habits, doesn’t automatically discredit them. 3. Is the nutrition source selling products directly connected to their health claims? The other day, I was surfing Instagram looking at all the beautiful plant-based foods when a meme arose touting the numerous health benefits of coconut oil. Even though most nutritionally aware people know that processed foods are unhealthy, a lot of them still believe cooking oil, a highly processed food, IS healthy. All oil contains saturated fat, and coconut oil is the worst offender of them all. In fact, coconut oil has over twice the saturated fat as butter! Suffice it to say, despite commonly held beliefs cultivated and nourished by the coconut oil industry, coconut oil is NOT healthy for human consumption. Put it on your hair and skin, but not in your mouth. Anyway, I decided to investigate further to see who was making such an unfounded and uninformed claim. The Instagram profile linked to a website (intentionally omitted) run by an apparently popular doctor living in Malibu, California (Wouldn’t THAT be nice?!). Most of the nutrition information on her website was associated with the supplements and other products she was selling, which included coconut oil. I’d like to think that she legitimately believes coconut oil is healthy and isn’t just spouting the false benefits to sell products on her website. But having an MD (Medical Doctor) title attached to her name means she should know better. The non-coconut oil industry funded research is readily available for anyone to see and the controversy has been all over the news recently so she should know that she needs to look into it further. The content accompanying the other supplements and miscellaneous products on her website read like a smorgasbord of pseudoscientific, biased, misleading and uninformed mumbo jumbo. Needless-to-say, she should NOT be considered among the credible nutrition sources. And that’s really a shame because she appears to have a large audience of people who believe whatever she says, much like the convincing and persuasive snake oil salesmen of yesteryear. They haven’t disappeared. They simply jumped off their stump and built a website. Selling products and/or services on their website doesn’t necessarily mean the nutrition source shouldn’t be trusted, though. It really depends on what they’re selling and how it measures up against the current science. It takes money to run a website, to pay people, to buy advertising, to pay taxes, etc. so it’s perfectly acceptable to sell things. The problem arises when the things you’re selling don’t have legitimate, unbiased science to back them up and when they cause real harm to people’s health. This is one thing I don’t like about our website, LottaVeg. We sell a Meal Plan subscription [UPDATE: Our meal plan service is now free], not because we want to, but because we have to earn a living and cover the costs of running the website and buying all of the ingredients for our cooking experiments. We give a meal plan away for free and we also give a free trial, but I wish we could afford to give them all away. Unfortunately, we do require electricity to run our computers and gas to run our stove. However, by generating revenue from the WFPB diet, we have a vested interest in sticking with it, even if some new, unbiased science says it’s unhealthy in 5 or 10 years. Now, I doubt that will happen because this is truly the natural human diet. We’ve know this for decades. We know our distant ancestors ate this way (despite the unfounded claims made by the Paleo folks). And we know the few remaining indigenous jungle tribes and isolated rural peoples around the world who are far healthier than people eating a western diet still eat a mostly WFPB diet. This isn’t a new fad diet. It’s a rediscovery of the original human diet obfuscated by decades of Big Food and Fad Diet sponsored manipulation for profit. Herbivores are the only animals that get heart disease. Let’s apply some basic algebra here: If herbivores get heart disease and humans get heart disease then humans are herbivores. If A = B and B = C then A = C.
You can feed a lion or a dog a pound of butter a day and they’ll never develop plaque in their arteries. That’s because, unlike humans, they’re biologically designed to filter cholesterol and saturated fat out of their systems (thanks to a not fully understood function of their thyroid gland). Lucky dogs! As I wrote before, oil isn’t healthy. But Amelia and I didn’t know that when we launched LottaVeg and started adding recipes to the website back in 2016. That’s why some of our older recipes use oil. However, we’re changing those. It’s a slow process because we have to remake the recipes without oil, sometimes more than once to get them right, and then update the recipe, nutrition details and sometimes take new pictures. Some of our recipes, like Amelia’s delicious Vegan Chocolate Chip Cookies will continue to use oil, but with a disclaimer that says they’re not healthy. Duh. They’re cookies. While Greger likes to say “Everything in moderation; even heart disease.” We know that it’s not feasible to expect everyone to eat healthy 100% of the time. We also want to be able to show non-vegans that vegan food can be just as delicious as conventional foods, and many non-vegans don’t care anything about health and nutrition. There are also a few lucky people like Amelia who are genetic mutants and don’t seem to have any issues with high cholesterol. Grrr. Regardless, we’re trying to do the right thing by removing unhealthy ingredients from our recipes when it doesn’t ruin the recipe, but I doubt a website completely dedicated to a diet that causes most preventable diseases will do the same thing. For example: A website that sells meal plans for the Paleo diet, which is based almost entirely on pseudoscientific nonsense and a very subjective, unprovable interpretation of anthropological discoveries. 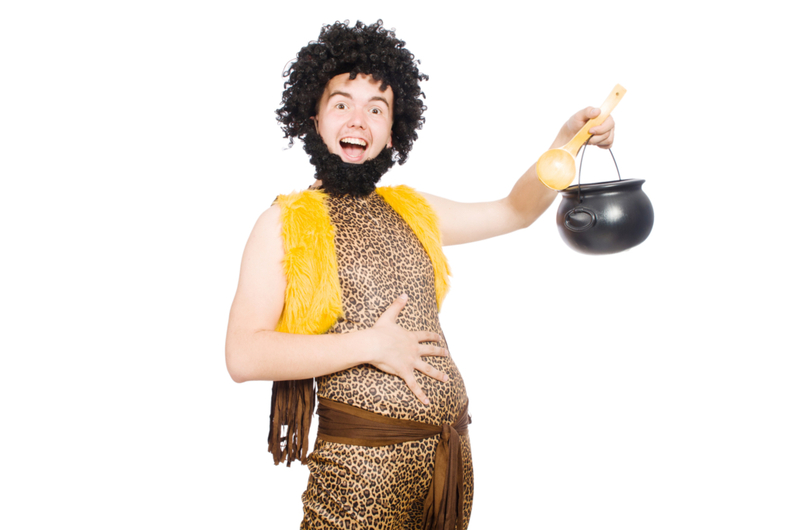 Unlike the Paleo dietary claims that even fooled me several years ago, it’s not the natural human diet. I signed up for the newsletter for a Paleo meal planning website to see what they have to say about nutrition and to see how they market their meal plans. 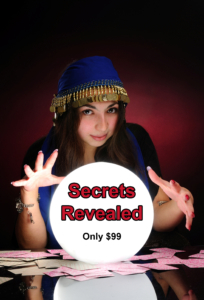 Every time their emails hit my inbox, I cringe, wondering what pseudoscientific “secret” they’re going to share today. From what I can tell, it’s a pretty large and thriving business riding on the coattails of CrossFit popularity. It could very well be a 7 figure business (that’s over a million a year in revenue). If that’s the case and they are that successful, how open are they going to be to admitting that the products they’re selling may actually be killing their loyal followers? Would they ever be able to admit that? Even to themselves? Not likely. Especially for legal reasons. In a world where money means everything to most people, very few would be willing to give that much of it up to do the right thing (which means very little to most people these days). If the nutrition source you’re looking at sells a variety of supplements and cure-alls, I would be very skeptical and question the credibility of their nutrition advice. 4. Is the source healthy looking, internally healthy and still alive? This may be superficial, but does the source of nutrition advice look healthy? There’s an old saying that you should never trust a skinny chef. Well, I don’t trust an overweight or obese nutritionist (or WFPB chef). A Facebook friend suggested I watch “The Magic Pill” in response to my post, “Can Vegans Get Heart Disease?” It’s a documentary filmed in the “What The Health” conspiracy theory style, but with a radically different conclusion. They claim the high-fat, high-cholesterol Keto diet is the answer to all of humanities health woes, despite the overwhelming evidence that consuming cholesterol and saturated fat leads to heart disease, the number one killer of people eating a western diet (that’s, not coincidentally, high in cholesterol and saturated fat). I’ve already done a lot of research on low-carb diets like Keto, Atkins and Paleo. I even ate both the Atkins and Paleo diets in the past before I knew who to trust (my cholesterol shot up to 270 on Paleo and my doctor ordered me to stop). Anyway, I didn’t watch the film, but I did watch the review by Mic the Vegan. I’m not “fat shaming” here. If you’re going to tout yourself as an expert in nutrition, you should be healthy. And that means within your healthy weight range. Would you trust a swim instructor who doesn’t know how to swim? Would you trust a pilot who doesn’t know how to fly? Would you trust a doctor who tells you to quit smoking, after you spotted her smoking on your way into the office? I wouldn’t. I’m a research geek so I spend a lot of time reading books, studies and articles, and watching documentaries and YouTube videos from my trusted sources. But most people don’t have the time, patience or interest to do that. And even though I enjoy reading studies, I don’t have access to all of them because they’re behind paywalls and we can’t afford memberships to all of those websites. Plus, some of them are simply too hard to understand. I often wonder if researchers get paid by the average number of syllables in their words! Or maybe they do that on purpose to sound extra smart, or to intentionally confuse the rest of us about what they actually discovered…. If you don’t have the time, patience, expertise or access, that’s when you need to rely on credible nutrition sources to interpret and summarize the findings for you. After considerable research, below are the experts Amelia and I have come to trust. Every single one of them started their journey with the standard belief about nutrition, namely that meat, dairy, eggs and oil are healthy for human consumption, even necessary for peak health. But after being presented with (or conducting themselves) valid, unbiased, non-industry funded nutrition research, they changed their views. That’s not easy to do. Our cognitive dissonance is uncomfortable and we try to reduce it by justifying our previously held beliefs rather than changing them. It takes a strong, open-minded person to be able to accept radically different ideas than those held by the majority. And it takes strong character to stand up to personal, professional and industry pressure while they’re doing everything in their power to humiliate and discredit you. I admire these people for more than their credentials. I admire them for their character. This is where I go first for nutrition advice, mainly because it’s easy to search and there are articles and videos on nearly every nutrition and health topic. Plus, he’s funny and quirky, and simplifies the complex topic of nutrition into something that’s easy for almost anyone to digest (pardon the pun). Dr. Greger started and runs NutritionFacts.org, a non-profit 501c3 organization dedicated to uncovering the truth about nutrition. 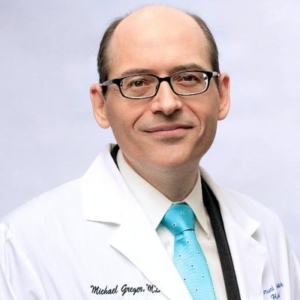 Dr. Greger received his undergraduate degree from Cornell University, and his medical degree with an emphasis in Clinical Nutrition from Tufts University where he graduated in 1999. In 1998, he appeared as an expert witness testifying on behalf of Oprah Winfrey when cattle producers unsuccessfully sued her for libel over statements she made about the safety of meat on The Oprah Winfrey Show. He authored Carbophobia: The Scary Truth About America’s Low-carb Craze and the New York Time’s Best Selling How Not To Die: Discover the Foods Scientifically Proven to Prevent and Reverse Disease, among other books. Now, NutritionFacts.org operates on a Wiki model using donations from website visitors and revenue generated from Dr. Greger’s book sales and speaking engagements to fund operations. No donations are accepted from industry related organizations, and no products or services are sold on the website to minimize conflicts of interest. Dr. Greger went vegan in 1994 when he was 22 years old after touring a stockyard as part of his undergraduate degree in agriculture. Dr. Barnard was born to a cattle ranching family in North Dakota. He earned his medical degree and performed his residency at the George Washington University School of Medicine. 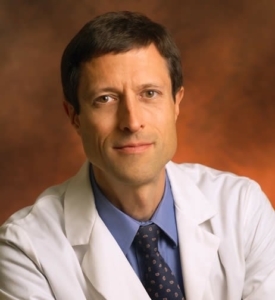 Dr. Barnard became a vegetarian during his residency at George Washington University in the 1980’s, and later became a vegan after doing extensive research into the subject of nutrition. 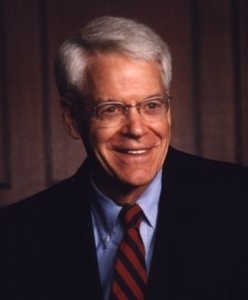 Dr. Esselstyn was born in 1933 in New York City (he’s now 85 and still working). He graduated from Yale University in 1956 and won an olympic gold medal that same year with his rowing team. He received his medical degree from Case Western Reserve University School of Medicine in 1961. According to his website, “He was trained as a surgeon at the Cleveland Clinic and at St. George’s Hospital in London. In 1968, as an Army surgeon in Vietnam, he was awarded the Bronze Star.” He continued as a practicing surgeon for several decades, chairing numerous medical boards and conferences. He has been awarded 8 different awards from universities and medical institutions for his medical achievements. He also has over 150 scientific publications, and authored the popular book, Prevent and Reverse Heart Disease: The Revolutionary, Scientifically Proven, Nutrition-Based Cure. Dr. Esselstyn and his wife Ann switched to a WFPB diet in 1984 after growing frustrated with the lack of focus on nutrition in the medical industry. He wanted to test the theory that cutting out dietary sources of cholesterol and saturated fat did indeed help treat and reverse heart disease. Following the successful at-home experiment, he conducted a study that is now widely quoted in support of the WFPB diet. Dr. Esselstyn is not vegan. Some of the recipes in his book use honey, which isn’t vegan. Dr. Campbell was born in 1934 (he’s 84 and still working) and grew up on his family’s dairy farm in rural Pennsylvania. He graduated from Pennsylvania State University in 1956 with a degree in veterinary medicine. In 1958, he earned a Masters degree in nutrition and biochemistry from Cornell University. In 1961, he earned a Ph.D. in nutrition, biochemistry and microbiology, also from Cornell. After graduate school, Dr. Campbell worked as a research associate for 10 years at MIT and 3 years at Virginia Tech before returning to his alma mater, Cornell, where he continues to specialize in the effect of nutrition on long-term health as the Chair of Nutritional Biochemistry in the Division of Nutritional Sciences. Dr. Campbell does not consider himself a vegan, stating that he doesn’t identify with vegan stances on all issues and “Vegans tend to consume too much processed food and total fat.” He also still supports testing on animals for nutrition research. 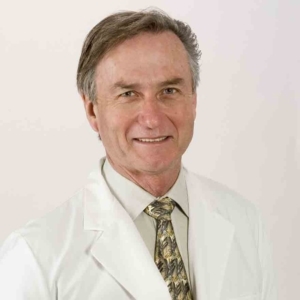 Dr. McDougall earned his medical degree from Michigan State University’s College of Human Medicine and performed his residency at The University of Hawaii. After his residency, he moved to the Big Island of Hawaii and worked as one of four doctors responsible for 5,000 patients on a sugar plantation. That’s where he noticed a dramatic health difference between the older and younger generations of his patients. After several years in Hawaii, he returned to the mainland and joined St. Helena Hospital in Napa Valley, CA where he worked until 2002. He now runs the McDougall Program in California where he helps people who actually want to be helped and are willing to buck the high-fat trend. 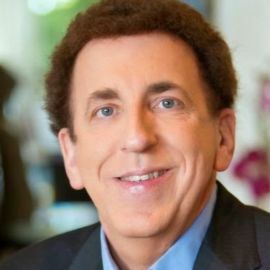 He has authored several books on nutrition, including his bestseller, The Starch Solution: Eat the Foods You Love, Regain Your Health, and Lose the Weight for Good! Dr. McDougall does not recommend a vegan diet or a WFPB diet. He recommends a low-fat, starch-based diet consisting of potatoes, rice, corn, grains, legumes, fruits and vegetables. Dr. Popper is a public policy expert who has helped change laws that interfere with patients’ right to choose their health provider and method of care. She has also testified in front of legislative committees, and has testified twice in front of the USDA’s Dietary Guidelines Advisory Committee. She has a Bachelors, Masters, and Ph.D. in Nutrition and a degree in Naturopathy, which is the practice of Natural Medicine. 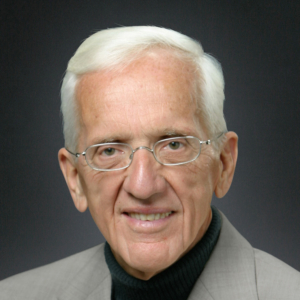 She also served as part of Dr. T. Colin Campbell’s teaching team at eCornell, teaching part of a certification course on plant-based nutrition. She authored the bestselling books Food Over Medicine: The Conversation That Can Save Your Life and Solving America’s Healthcare Crisis. She regularly posts videos to her YouTube Channel reviewing current studies and answering commonly asked questions about nutrition and medical care. Dr. Kim Allan Williams, MD, MACC, FAHA, MASNC, FESC is the first vegan president of the American College of Cardiology. 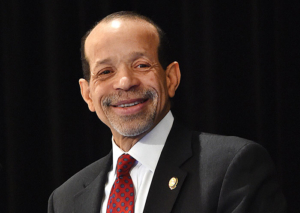 He was born in Chicago, and attended the College of The University of Chicago (1971 to 1975), followed by the University of Chicago’s Pritzker School of Medicine (1975 to 1979), internal medicine residency at Emory University (1979 to 1982), and overlapping fellowships in Cardiology at the University of Chicago (1982 to 1985), Clinical Pharmacology (1984 to 1985), and Nuclear Medicine (1984 to 1986). 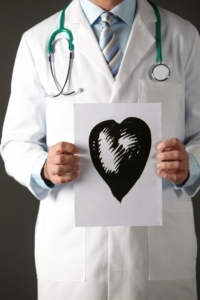 He is board certified in Internal Medicine, Cardiovascular Diseases, Nuclear Medicine, Nuclear Cardiology and Cardiovascular Computed Tomography. Dr. Williams has been vegan since 2003. He wrote a guest post on Medpage Today discussing his motivations for switching to a plant-based diet and going vegan. From the 1970’s through the 90’s, he conducted research into the root causes of heart disease and discovered that eating a mostly whole-food plant-based diet, along with at least 30 minutes of moderate exercise each day, stress management and stopping smoking seemed to be the most effective way to prevent and reverse heart disease. Dr. Ornish is not a vegan. His diet is considered vegetarian, allowing egg whites and non-fat dairy. 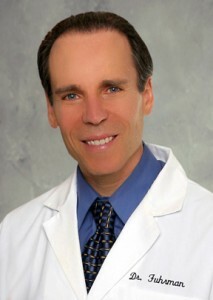 Dr. Fuhrman, M.D. 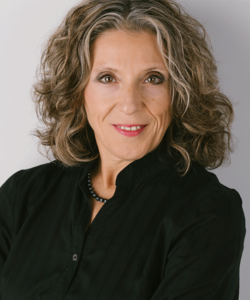 is a board-certified family physician, six-time New York Times best-selling author and internationally recognized expert on nutrition and natural healing, who specializes in preventing and reversing disease through nutritional methods. He is the President of the Nutritional Research Foundation and on the faculty of Northern Arizona University, Health Sciences division. Dr. Fuhrman coined the term “Nutritarian” to describe a nutrient-dense eating style, designed to prevent cancer, slow aging, and extend lifespan. Dr. Fuhrman is not a vegan, as far as we know. His diet allows small amounts of animal products as long as you don’t already have heart disease. However, he acknowledges that the healthiest diet eliminates all animal products and focuses on whole plant foods: fruits, vegetables, legumes, whole grains, nuts and seeds. 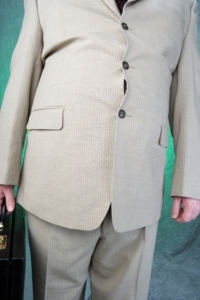 Dr. Davis is a bariatric surgeon, helping obese people to lose weight through surgery and to keep it off by eating a whole-food plant-based diet. 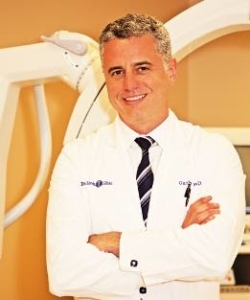 Dr. Garth Davis is the medical director of the Davis Clinic at the Methodist Hospital in Houston, Texas. He graduated from the University of Texas in Austin where he was the Student Government President. He completed his surgical residency at the University of Michigan. His book, Proteinaholic, reviews the science behind many of the high-fat diet claims, as well as the science supporting a whole-food plant-based diet. His book teaches us how to read studies to spot biases and flaws in study designs. He also dispels a lot of the myths surrounding high-protein diets. This book is a must-read and should be required reading for all doctors. Dr. Davis was not a vegan until he did the research and determined the WFPB diet is the healthiest diet for human consumption. After he accepted that, he became open to the environmental and animal cruelty issues. He now considers himself a vegan. While not a doctor of nutrition, Mic the Vegan is a vegan science writer and a good source of accessible nutrition information. He speaks in terms that are easy to understand and he reviews the real, unbiased science behind lots of nutrition claims. He has a very active YouTube Channel and regularly posts informational videos about nutrition, with a splash of humor. Amelia and I didn’t enter into this diet lightly. I did months of research, most of it not believing what I was seeing. How could the decades of nutrition advice from “trusted” sources, advice that I based my entire diet on, be so inaccurate and just plain wrong? I was also concerned that this was another fad diet like Atkins and Paleo. I fell for the hype before. Why was this any different? The main difference this time, was that I spent a lot of energy figuring out who I could trust for legitimate, mostly unbiased, scientifically backed, nutritional advice. I didn’t rely on a friend or coworker or family member to tell me “X diet worked for me!” I didn’t listen to an infomercial. I didn’t read a book written by a journalist who loves cheese or a blog post written by a grad student who loves bacon. Instead, I found extremely educated, highly knowledgable doctors with decades of experience in nutrition. They have hundreds of published scientific, non-industry funded studies between them and thousands of successfully treated patients who are living longer, healthier lives because of their advice. If, after doing the research, I had discovered that humans are biologically designed to eat meat, dairy and eggs, and that we needed it to survive and thrive (as I was taught in my small Kansas farm town), I would still be eating animal products (sorry fellow vegans). But that’s simply not the case. In fact, it’s the exact opposite. Those high fat, high protein foods are literally killing us by the millions. We did not evolve to eat those foods and we’re far healthier without them. Thanks to these reputable, trustworthy experts, I now eat a much healthier diet, I’ve lost weight and I feel better. Plus, my environmental footprint is much smaller. And I’ve stopped contributing to the needless and unspeakably cruel treatment and slaughter of billions of sentient, innocent animals every year. If you enjoyed this post or learned something new, please share it with your friends and family. Help spread the word about the doctors and scientists who truly are credible nutrition sources.